or click here Request a Quote now. 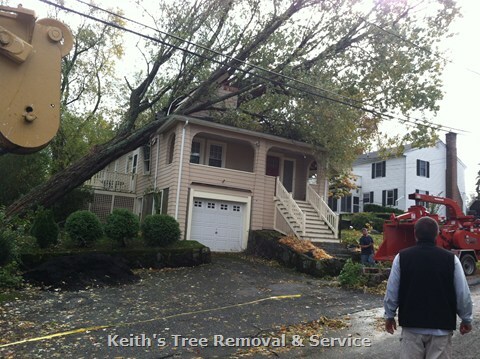 Tree Removal, Cutting, Grinding, and Emergency Service in Eastern Massachusetts. If you are looking for a reputable, professional, Fully Licensed and Insured tree service company, then you have come to the right place! We are well known in the Eastern Massachusetts areas for our quality work, quick response and reasonable rates. We are headquartered in Wakefield with remote locations so we easily reach and service all Cities & Towns within Middlesex Counties in Massachusetts. 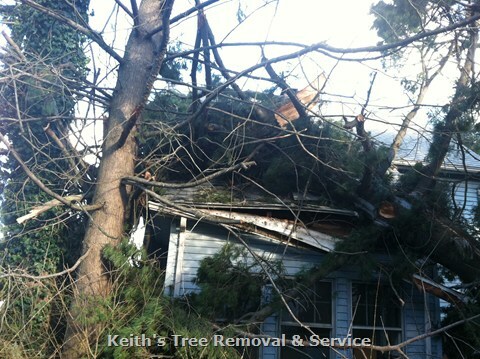 Keith's Tree Service ensures the highest standard for our customers, and promises to put your needs first. Your trees and property are in the hands of well trained, and qualified tree care professionals. Keith himself does all the estimations as he has been for years. 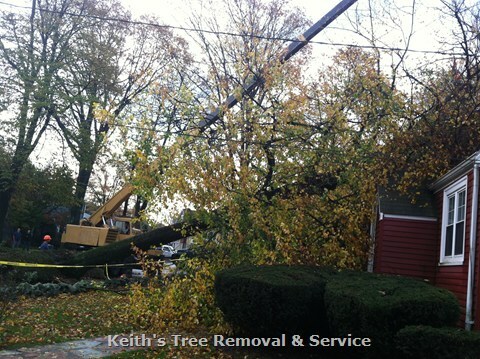 Keith's experience in the tree care business allows him to evaluate your trees and make recommendations with confidence. 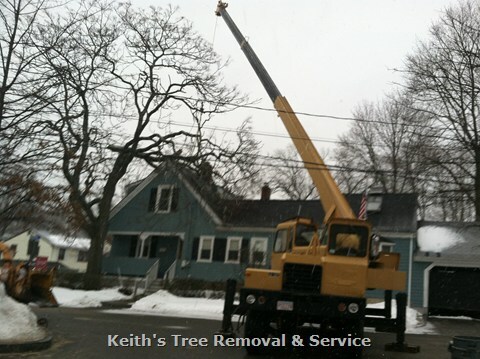 Keith's Tree Service has been serving the entire Eastern Massachusetts area for so many years. Burlington. A pine tree was leaning on my neighbor's property. Very pleased. Christian arrived Wednesday on time to give me an estimate. I told him that I thought the tree was leaning more than it had been and I was worried. 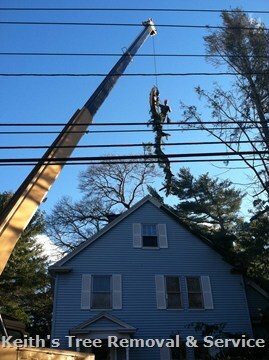 The tree was removed by Friday. Very professional. Put mats down on the grass and did a great job cleaning up. Very happy. I highly recommend them. Keith’s was great. Very professional, fast and clean. I highly recommend them for any tree service needs. Keith’s true to his word, delivery as stated, green wood as requested. Have had tree work done in past with same proud work. Highly recommend. This is the 4th time using Keith's. Every time the crew if professional, polite and leaves my yard in good shape. I would always use Keith's and recommend them. 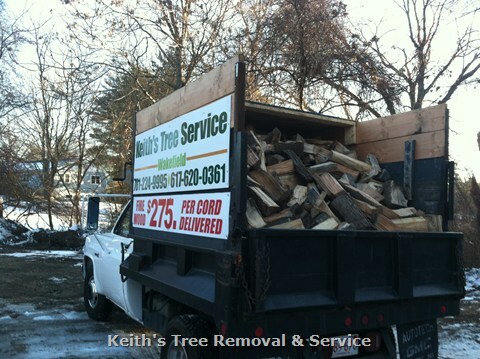 I have used Keith's several times and recommend them without hesitation. Always professional clear, reliable, and thoughtful. Everything went smooth. Very professional service. I was worried about the lines and house, but never a problem for your crew. I would recommend Keith's to everyone.